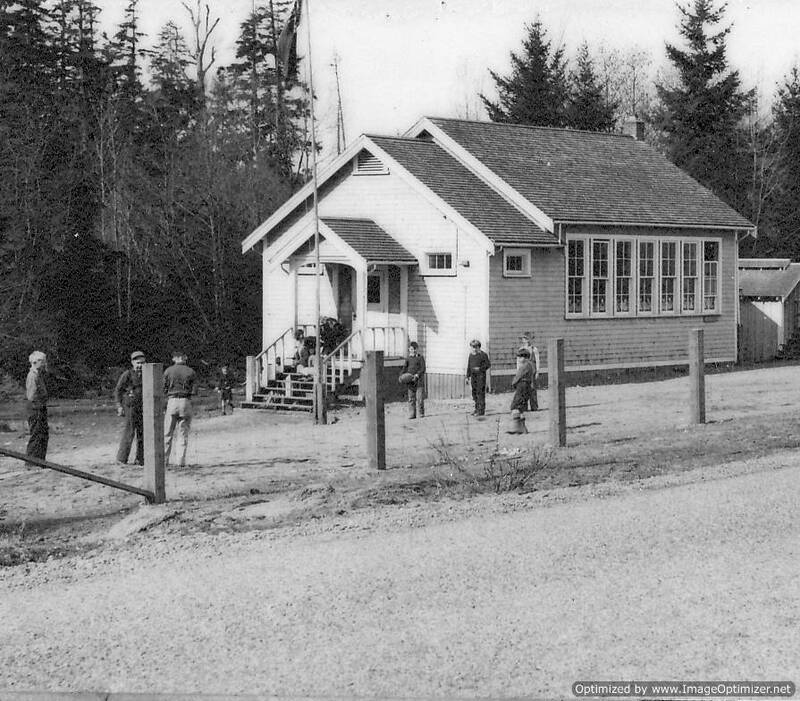 One hundred years ago, in 1910, there was no school in Campbell River, but there was a classroom. Pupils came to the Willows Hotel Annex to be taught by Harold Campbell, who later became Deputy Minister of Education in BC. As seven students were required before a school could be opened, a four year old (Arnold McDonald) was included to artificially inflate the numbers. Since only five children attended regularly though, instruction was given for just two months before the ‘school’ was closed and Campbell was sent to teach elsewhere. 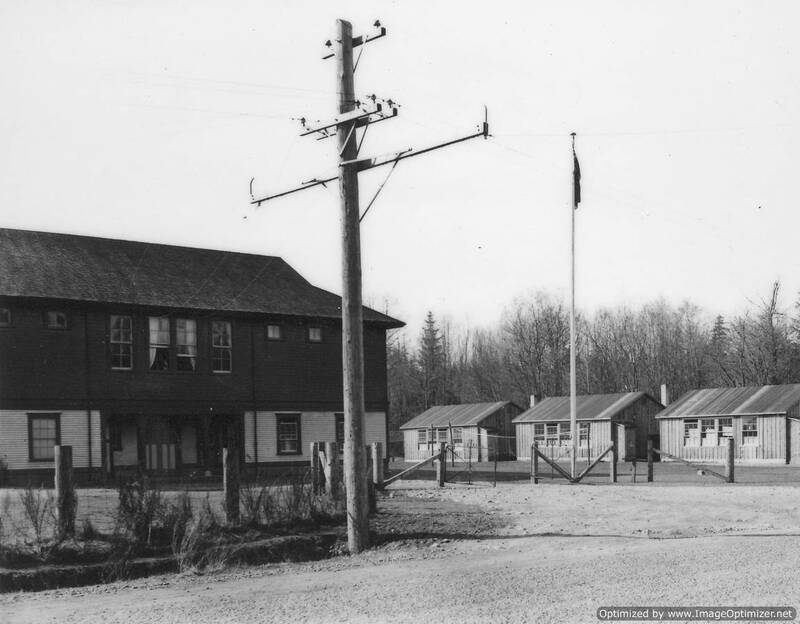 However, shortly afterwards, the classroom reopened and the number of students rose to 16, prompting the building of the first school house, the Campbell River School, situated at the corner of Cedar and 9th Avenue. The photo at right is of a class from 1921-22. 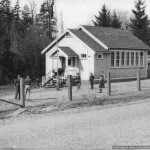 The Campbell River School accommodated students for the next 10 years, until the Elm Street School was built. In 1945, School District 72 was created as a result of consolidations recommended by a report of the Royal Commission.To celebrate 100 years since schooling first began in Campbell River, a reunion is being planned for September 9 and 10 to include students attending from 1939 to 1959. For a complete history of early education in Campbell River, visit the archives where the Museum has a copy of ‘The Schoolhouse on the Hill – The Story of a Coastal Community’s First School’ by Dr. Thomas Fleming (written in 1987). For many residents of Campbell River, the closing of the Catalyst Pulp and Paper Mill this year marks an historic moment. Symbolic of the changing times in Campbell River, it reminds us of how a village grew into a town due in large part to the influence of the mill and the large numbers of people it employed. It also reminds us of the excitement generated in this small western boom town when the Elk Falls Mill first opened for operations in 1952. 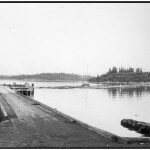 Described as ‘a milestone in the development of Campbell River’ the opening of the pulp mill was an influential factor in the new era of economic growth and job stability in a region that had already received a substantial boost when the John Hart Power Station was built. At right is a photo of the opening ceremonies on September 15, 1952, attended by more than 500 people in the mill warehouse. Premier W. A. C. Bennett said that the Duncan Bay development was ‘free enterprise at its best’. 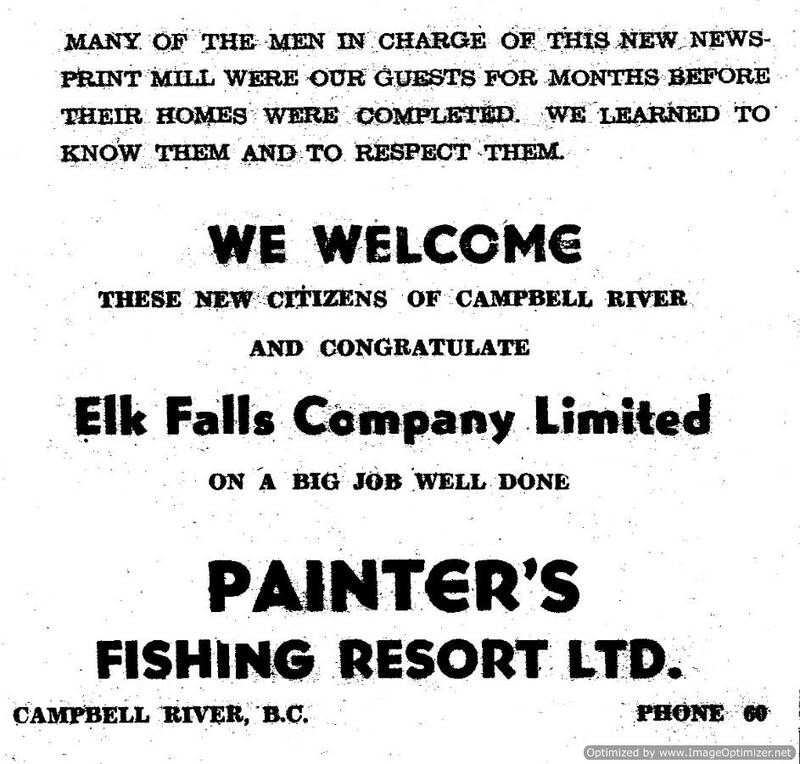 The Campbell River Courier commemorated the opening of the mill with a special supplement. Included were congratulations from the various local businesses that had benefited from the beginning of the construction of the facility and expected to reap the benefits of being part of a progressive, growing community. When Don McIver transferred from Comox Logging to start work at Elk Falls Mill in 1952, he couldn’t find a place to live. Crown Zellerbach (the parent company) had built 26 homes for their key mill employees (see left) like T.B. Hargreaves, the mill manager, who Don remembers as being very sociable and who made a point of getting to know all of the employee’s names. 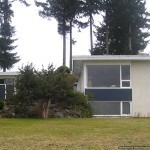 The village, however, was still unable to handle the influx of new employees and initially, a number of fellows including Don, attracted by the steady wages at the mill, commuted from Courtenay until places in Campbell River became available. Although the pay was better in logging (roughly $12 a day instead of the $9.70 per day offered at the mill) work at the mill was steady and less dangerous. It was the advent of families that helped change the face of the village as well. There were plans to construct three new elementary schools in 1952, due to the fact that it had become a ‘young folks town’ with the number of children under the age of six comprising 1/6 of the population. “I arrived to settle in Campbell River after the Pulp Mill had been built (from a letter to Jeanette Taylor). The company.. moved many of its employees from Ocean Falls to Campbell River. Both economic and social effects (of this) were vital (to the growth of the town). Of course the population grew quickly to man the mill and the necessary services—schools, hospital etc.” Initially, the Elk Falls Mill relied on Ocean Falls to supply its pulp, but the Crown Zellerbach pulp mill at Ocean Falls was small and antiquated compared to the brand new facilities at Campbell River, and once Elk Falls started producing its own pulp, it was destined for expansion, whereas the mill at Ocean Falls was destined for eventual closure. Families coming from Ocean Falls had enjoyed living in a mill town where there were good facilities like an indoor swimming pool. However, Ocean Falls had few roads and most were constructed of boardwalks. Newcomers from Ocean Falls were quite taken with the opportunity to drive for miles in any direction. Workers and families also came from the Prairies and mills in other provinces. Chuck Saults, who started at the mill construction site in 1951, had come from Calgary. When mill construction was completed, Chuck was offered a job and eventually worked his way up to foreman of Paper machine #5. Chuck remembers that there was a combination of very experienced employees—those who had come from other mills, and very novice workers. The Mill employed about 220 workers in 1952 and by 1958, after the addition of the Kraft Mill and another paper machine, the number had grown to about 500 employees. Skip McDonald recalls the buoyancy of Campbell River citizens in the 1950’s and 1960’s and feels it was the busiest time in the history of Campbell River in terms of growth and prosperity. Local business people profited from the continual expansion of the mill and from the presence of contractors and guests of the mill. These short term employees stayed at places like Painter’s Lodge and went fishing while they were here. 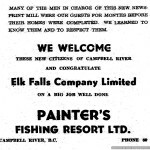 The town of Campbell River also benefited when the municipal boundaries were extended to include Elk Falls mill in 1964, (previously the boundaries had gone just to the bridge at Hwy19) as taxes from the mill provided a new and vital source of revenue to the town. The Campbell River Museum archives house a wealth of information about early Campbell River, including a library, archival photos and newspaper clippings. Come visit us soon! Archive hours are Tuesday – Friday, 1pm – 4pm or by appointment – 250-287-3103. 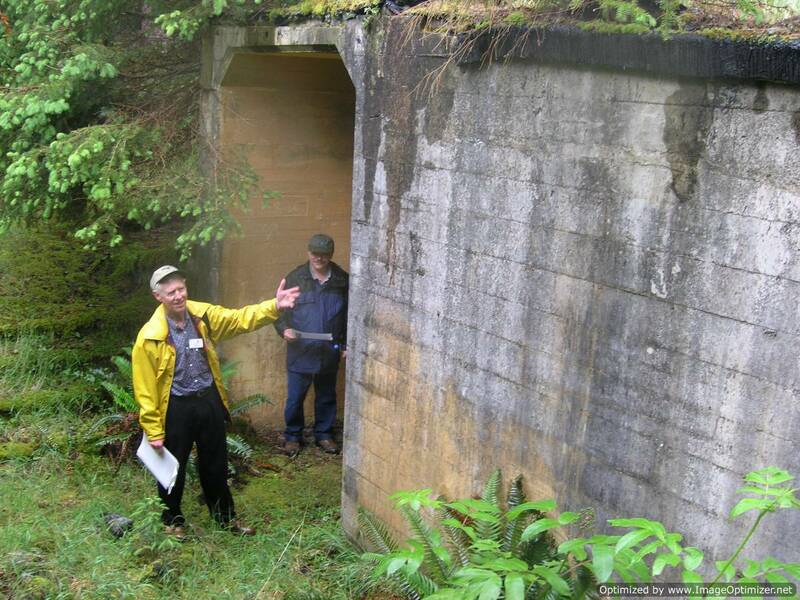 In 2004, museum docent Danny Brown (see left, yellow jacket) gave a presentation at the Campbell River Museum on a unique west coast military defence installation, Yorke Island, and later in the year took a group of people there on a tour. The conditions had to be just right for this tour as this tiny island is surrounded by one of the most dangerous stretches of water in Johnstone Strait. 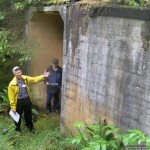 Located six kilometres northeast of Sayward, off the northeast coast of Vancouver Island, Yorke Island was considered to be a strategic site during World War II as it commands an exceptional view of the strait. Then, there was another kind of danger lurking in the water; Japanese U-Boats had been sited in the vicinity as early as 1939 and especially after such a U-Boat launched a shell at Estevan Point lighthouse on the west coast of Vancouver Island in 1942, the Canadian military felt it was critical to establish a gunnery post in defence of British Columbia’s west coast. I recently had the opportunity to visit Yorke Island with outdoor guide and military enthusiast Ross Keller, and one of the most profound impressions the site leaves is of the sheer magnitude of the construction that still remains. While the windows might be missing and some of the paint peeling, these poured concrete edifices look as serviceable today as they must have been during the war years. 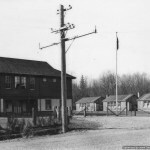 Yorke Island was occupied from 1939 – 1947, after which some of the portable buildings were taken to Hardwicke Island (about one kilometre away). Prior to that, the only evidence of occupation was a cabin left by an individual who had been there in about 1925. The island would not have been a hospitable place to reside on as it was missing one crucial resource – fresh water. To resolve this problem, the military had to import enough fresh water to fill a 50,000 gallon (250,000 litre) tank. Each of the men by military standards had to be provided with one gallon of water per day. With 250 men posted there and sometimes as many as 200 construction workers, it was a formidable task to store enough of this precious commodity. In fact, sea water was used to supplement their requirements in places like the toilets. As a result of Brown’s talk on the island, he met a veteran who had actually been posted on Yorke Island, Gordon Kurton (now deceased) of Powell River. His research also lead him to meet Garry Ogrodnik, manager of the Campbell River Superstore, whose father had been posted to the island, and he provided Brown with a photo of his father in uniform. Other archival photos (see right) were donated to the Museum by the Bishop family , whose father Jack Husted had also been posted to the island. Isolated as Yorke Island was, it was not a popular post and has been referred to as ‘Little Alcatraz” (Raincoast Place Names, Andrew Scott). Many young men living there, especially those not used to coastal conditions, found the circumstances extremely trying and in Peter Moogk’s book, Vancouver Defended, he relates a few amusing tales of attempted escapes. Not so amusing is the story of a soldier who committed suicide on the boat returning him to spend another stretch of time there. 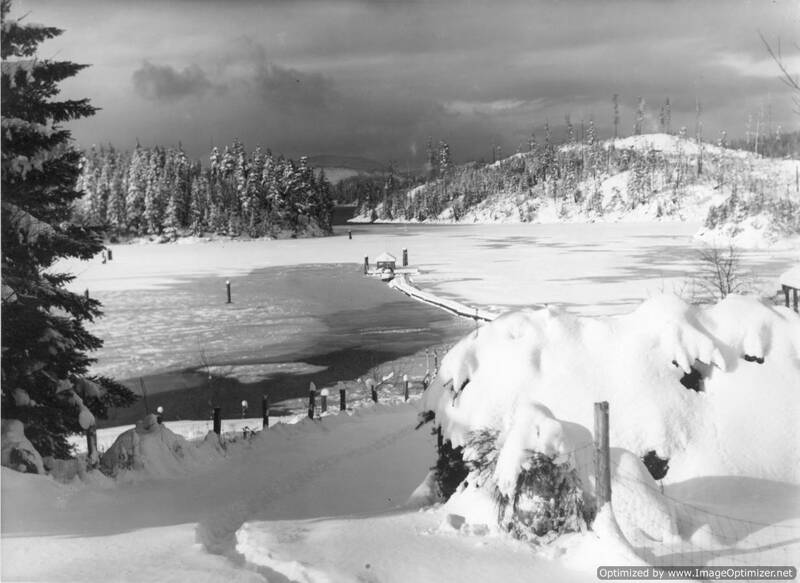 The island is currently under the protection of BC Parks, and as it is without a dock, is not an easy place to reach. A boat can anchor there, but a kayak or dinghy is required to reach shore, unless you have a landing craft like the Aurora Explorer that can lower its drawbridge and place you safely on the beach. 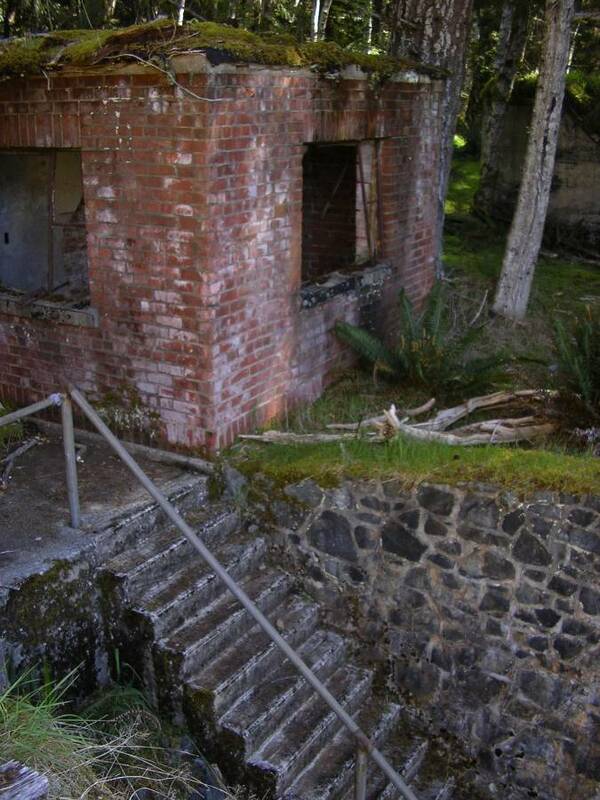 Although the undergrowth and buildings have been well cleaned up by out-of-work foresters through Sayward Futures, a visitor has to be fit enough to climb the steep hill to the top (200ft) in order to properly view the abandoned buildings. 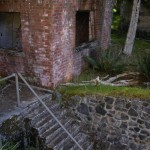 For now, it remains even more remote than it did during the war years, which adds in many ways to its intriguing charm. While the Museum no longer has tours to Yorke Island, there will be historic boat tours beginning July 11 with Discovery Marine Safaris to many of the other Discovery Islands. Call us to find out more! 250-287-3103. This week, the Campbell River Museum Archives has had a well known visitor. 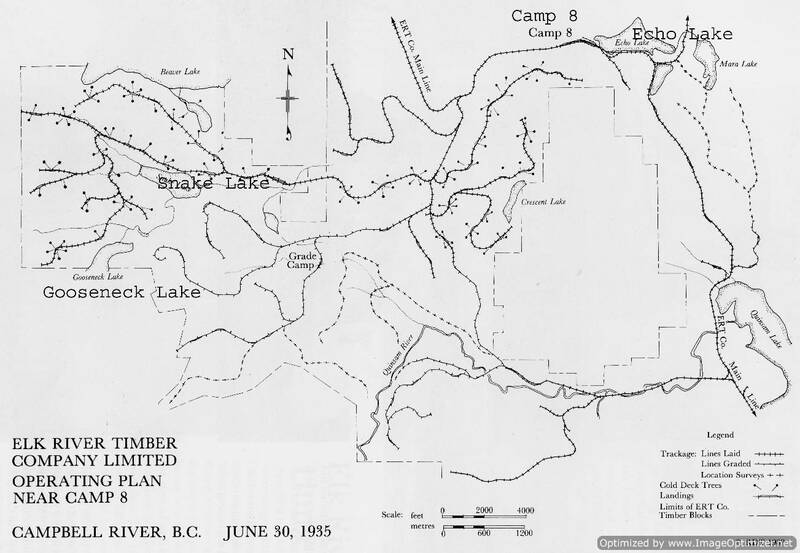 Award winning author and journalist Stephen Hume, who has been a long time staff writer for the Vancouver Sun, is researching the Ellison expedition into Strathcona Provincial Park that is being replicated this July by mountaineer Philip Stone of Quadra Island. 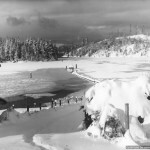 Hume will be writing a piece for the Sun about the upcoming Strathcona Centennial Expedition, and was interested in using the resources at the Museum to find out more about the history of Strathcona Provincial Park. In particular, he said he also came to seeing the current photo exhibit of the Ellison expedition that is on display in the Museum temporary gallery until the end of June. Hume may be a participant in the new expedition, but isn’t certain yet. For now, he can vicariously take the journey as he peruses the wonderful journal kept in the Archives that was written by Harry Johnson, a member of the original Ellison 1910 trek. Who remembers the distinctive sound of roller skates on the wooden floor of the gymnasium in the old community hall in Campbell River? 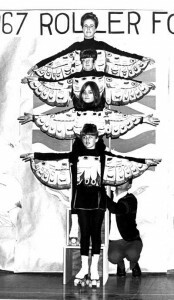 Or better yet the spectacular Roller Follies? 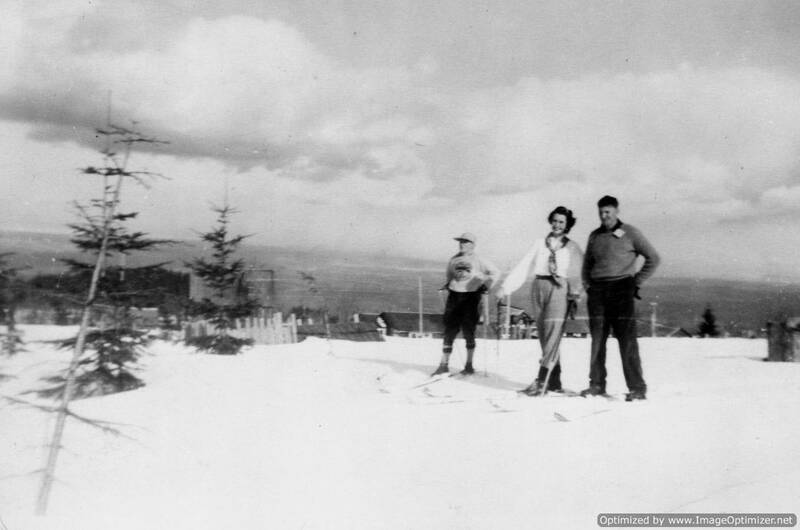 Long before the days of ice skating the Campbell River Roller Skating Club offered skating classes to the children of Campbell River. 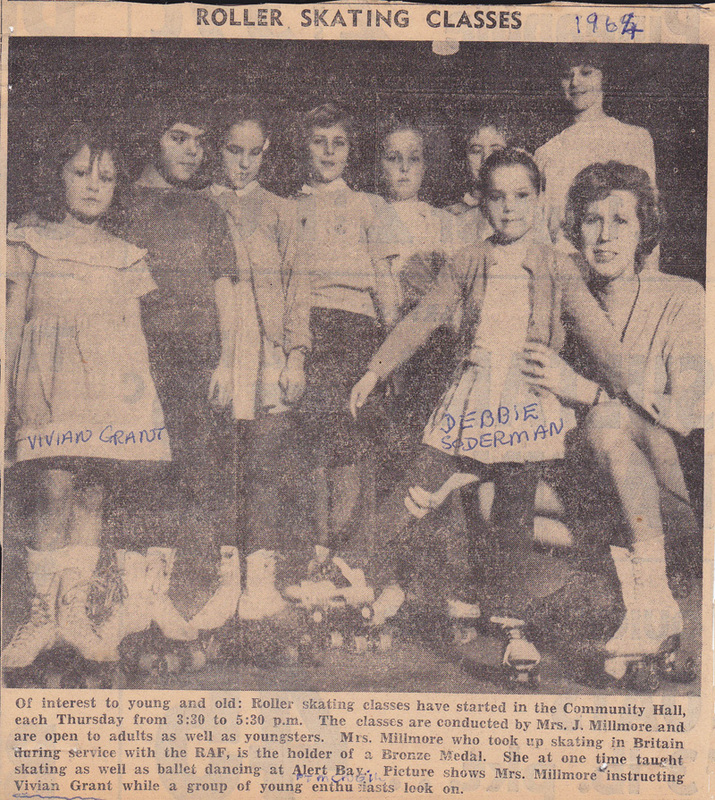 Iris Millmore, an experience skater who had won a Bronze medal for roller skating in Britain was instrumental in establishing this club in Campbell River in 1963. As well as offering lessons to budding skaters the club would hold an annual event to showcase their skating abilities. Known as the “Roller Follies, parents and relatives would fill the bleachers at the hall in anticipation of the performance. The annual Roller Follies presented by the Campbell River Skating Club was held last Friday and Saturday nights, with capacity audiences enjoying the two hour show. With Centennial Year as the theme, skaters paid tribute to each of the provinces, with appropriate numbers and costumes. Over 100 youngsters participated in the show, and great credit is due to the staff who created a delightful evening of entertainment. Solos by Mrs. Frankie Millmore, Brenda Millmore, and a skating duet by Cheryl Stapley and Elizabeth McKenize were greatly appreciated by the crowd. Although, Iris Millmore left Campbell River in 1967 the club continued until the mid 1970’s. In 1991 club members held a reunion and in recognition of that event a club scrapbook full of newspaper clippings and photographs was put together. This scrapbook along with Iris’s roller skates were recently donated to the Museum & Archives. 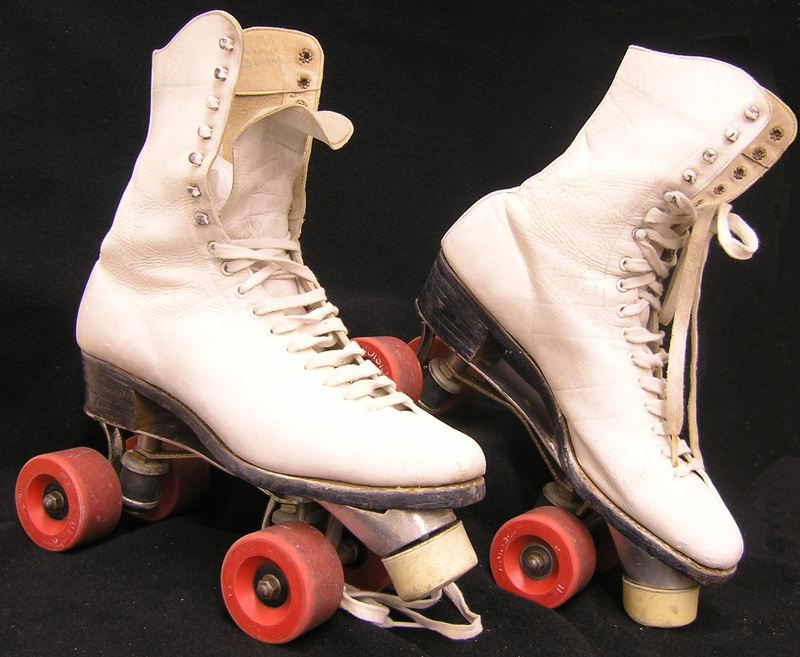 Iris Millmore's roller skates recently donated to the Museum. In recent weeks, the combination of heavy rainfall, high tides and snowmelt has created fears that we might see flooding, particularly in the Campbellton area, although Oyster River and Oyster Bay have been hard hit in the past too. Just three years ago, a wild storm with high waves caused hydro outages and flooding across the Island Highway at Oyster Bay, closing off the road. While we can still experience some level of flooding, we will likely never see the high levels reached in the past, before BC Hydro harnessed some of the power of the Campbell River. Before the John Hart Dam was built, areas beside the raging Campbell River could be particularly hard hit by high tides and the rising waters of the river. 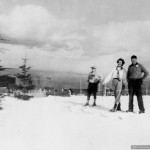 In 1935 (see photo) and 1939, significant flooding occurred in the Campbellton Flats after snow from a heavy snowfall melted. During the 1939 flood, waters reached the second step of the Quinsam Hotel, and an 80 ft cedar tree rushing down the river almost destroyed the bridge. That same year, there was a washout at the Oyster River and a barn had floated across the road, effectively blocking traffic. 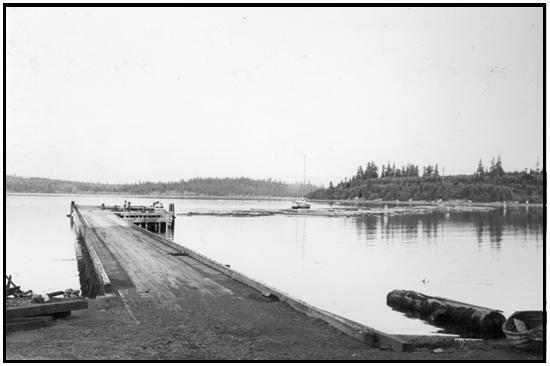 Even after the dam was built, Campbell River experienced torrential rains in 1968 that took out two main water lines and this time, the Quinsam Bridge was wiped out. Although this year the Seawalk was covered with debris after high tides and a recent storm, the rains abated in time to avoid flooding in Campbellton. Even with BC Hydro diverting water from the Upper Campbell into Elk Falls, the Campbell River did not overflow its banks. 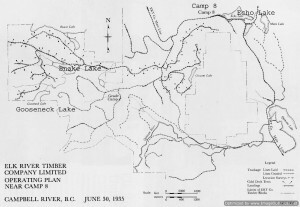 If you are looking for information on any past events concerning the Campbell River area, the Archives at the Museum contains a wealth of information in the form of newspaper clippings, photos, videos and books (some resource and some available for lending). Our knowledgeable staff are pleased to help you find what you are looking for. Archive hours are Tuesday to Friday 1-4pm or by appointment – 250-287-3103. Fifty years ago, Campbell Riverites were looking forward to attending a New Year’s dance being held at the Campbellton Community Hall. The hall was built by volunteer labour in 1923, but the interior was not actually completed nor equipped with sanitary facilities until November of 1949. In the early hours of the morning of December 31 of that year however, around 3:30 am, the roof and walls collapsed from the weight of the snow, two feet thick, that had been piling up on the roof. Only the two end walls were left standing (see photo). Fortunately, no one was in the building at the time – had it happened during the evening of the dance, there could well have been a number of injuries or even fatalities. “The loss of the hall is a great blow to residents of the district as it was the only hall in the immediate vicinity large enough to accommodate large size gatherings.” Campbell River Courier January 4, 1950. The hall (located at the site of the present day Mohawk gas station) was never rebuilt, then was demolished entirely in March of 2000. A new hall was constructed on land donated by the Royal Canadian Legion on 11th Ave and it opened in 1954, with the help of the Kinsmen and Rotary Clubs and several individuals who donated time and effort towards its completion, in an inspired show of community spirit. Incidentally, the unique edge-grained plywood floor that was the centrepiece of this building was salvaged by the Rotary Club and used in the Maritime Heritage Centre. The community hall that we have today was built in its place and completed in 2000. The Museum Archives has a wonderful collection of books and newsclippings for those doing research on local history. 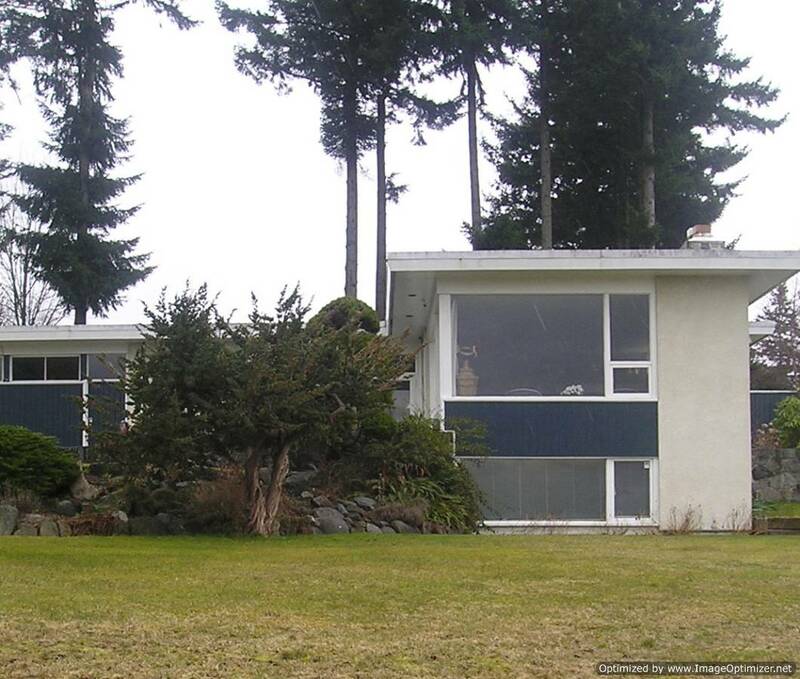 Open 1-4, Tuesday to Friday or by appointment, 250-287-3103. There is no fee, but donations are gratefully accepted. The potlatch, a ceremonial distribution of property and gifts unique to Northwest Coast peoples, was elaborately developed by the Kwakwaka’wakw – people of the Canadian Pacific Northwest. Their potlatches were often combined with performances by dancing societies, each society having a series of dances that dramatized ancestral interactions with supernatural beings. These beings were portrayed as giving gifts of ceremonial prerogatives such as songs, dances, and names, which became hereditary property. Below is a magnificent film featuring Pacific Northwest Indian dances of the ancient winter ceremonial handed down among the Kwakiutl (Kwakwaka’wakw) families as their way of keeping history. 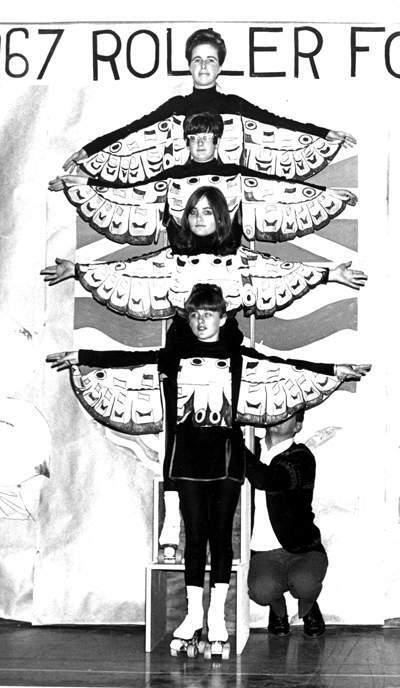 Beautiful costumes and masks are worn by the dancers in this black and white film. If you know the origins or history of this film please let us know the details. Cover page of the Pacific Coast Militia Rangers magazine. The PCMR were a home guard organized to defend the North Island against invaders, after the Estevan lighthouse on the west coast of the island was shelled by the Japanese. Men who had a knowledge of local topography and terrain like loggers, trappers, prospectors and ranchers were sought after to become members of this patrol. Camp 8 had a 30 man unit and the members were issued hats, badges, dog tags and rifles. They had weekly training under their unit commander and once a month a Sergeant Major from the regular army inspected the unit.